Saturday 17 March 2018 Mr Gilbert Bollaert (BEL), was awarded IKF Pin of Merit following his more then eleven (11) years service and outstanding contributions to IKF Playing Rules Committee. Ms Danielle RUTS, IKF Executive Member, presented him the distinction after his last IKF PRC Meeting. 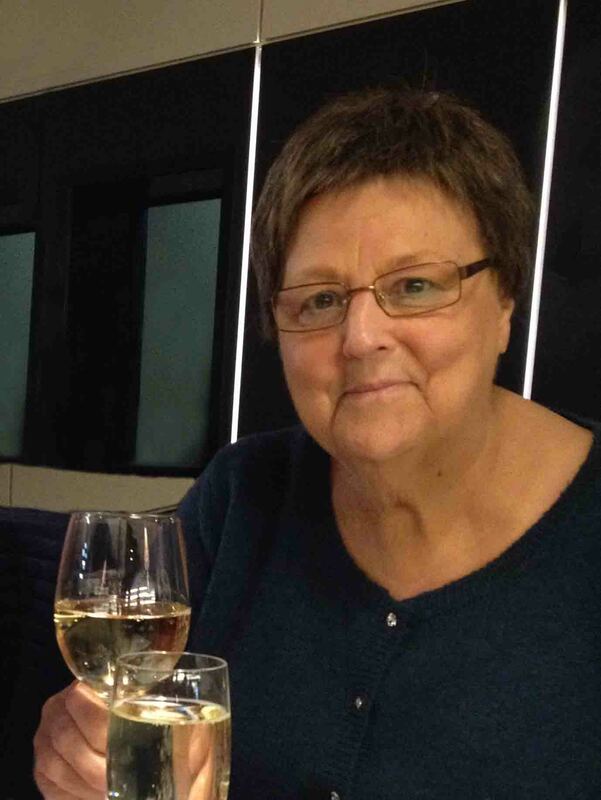 The Executive Committee of the International Korfball Federation is sad to receive the news that Mrs Jenny Everaert, Holder of the IKF Pin of Merit since April 2000 and Honorary Member of the Royal Belgian Korfball Federation (KBKB) died last week at the age 72. Mrs Everaert also was awarded the Lifetime Award of the KBKB. Mrs Everaert for several decades led the activities of the Event Committee of the KBKB. As such, she was the main organizer of many korfball events, including multiple friendly international matches and IKF World and European (youth) Championships organized by the KBKB. The IKF will remember Jenny’s perfectionism and professionalism in organizing events, and for always showing a warm welcome to athletes and officials from abroad. IKF Executive Committee member Mr Frank Buvens received Saturday 26 March 2016 the honorary membership of the Royal Belgium Korfball Federation (KBKB). 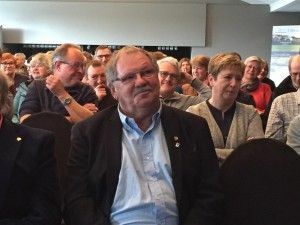 Frank Buvens served the KBKB for many years as Director Topkorfball. Last Saturday he stepped down as KBKB Exco member. IKF IT committee and IKF Jury member Mr Pierre Coppens received the KBKB honorary membership as well for his dedicated long lasting service for competitions in the KBKB. Pierre Coppens stepped down as well as KBKB exco member. 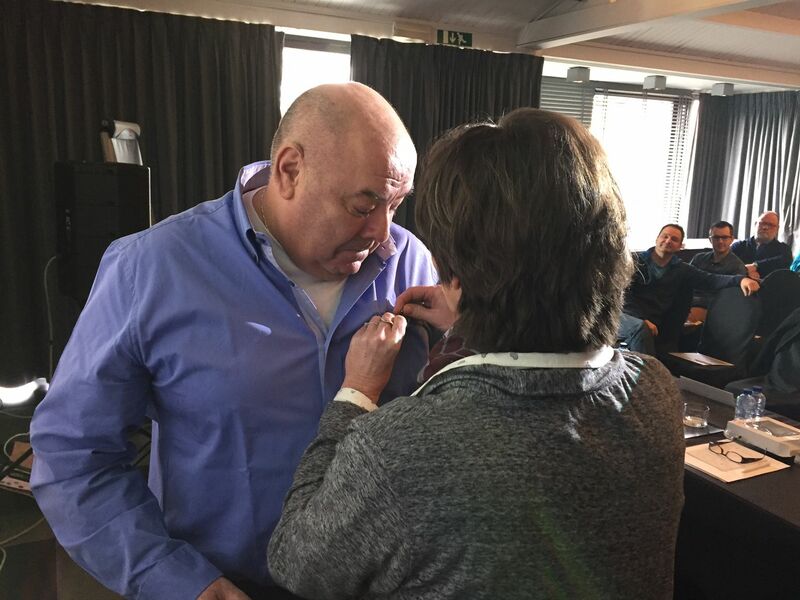 Besides this title as KBKB honorary Member Pierre Coppens hold the IKF Badge of Honor. Further received Mr Daniel de Rudder a Life TIme Award from the KBKB for his long lasting excellent career in korfball. The General Meeting of the KBKB gave Daniel a standing ovation to show her appreciation. Daniel de Rudder holds the IKF Badge of Honor as well. 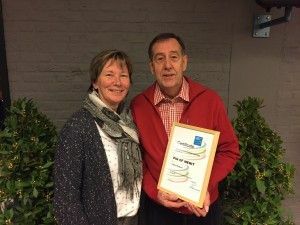 Mr Alex Elewaut received a KBKB distinction as well 26 March 2016 for his distinghuised long lasting service to korfball. Mrs Danielle Ruts handed him the distinction as KBKB Badge of honor. The KBKB General Meeting gave Alex a well deserved big hand of applause. The IKF congratulates Frank Buvens, Pierre Coppens, Daniel de Rudder and Alex Elewaut with their distinctions by the KBKB. 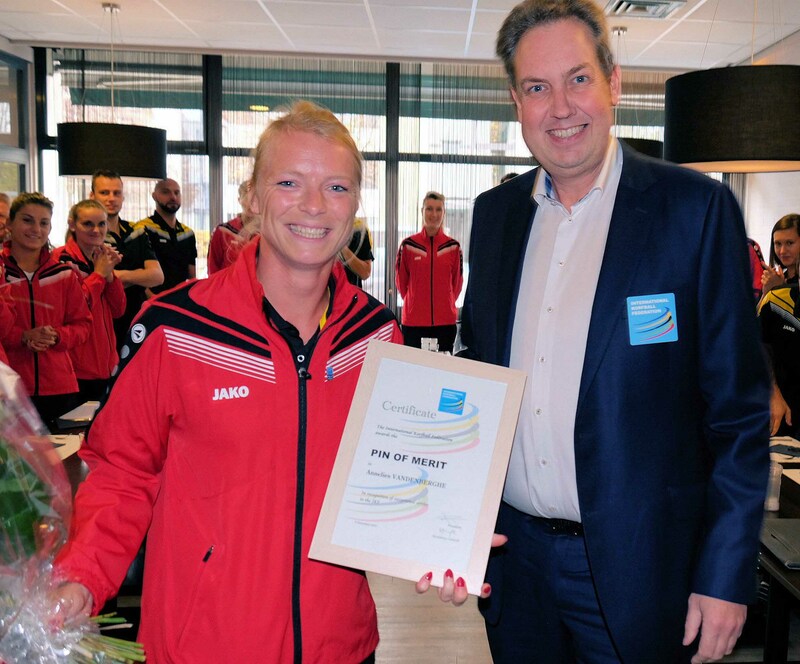 Friday 6 November 2015 Ms Annelies Vandenberghe, Belgian international, was awarded IKF Pin of Merit following her outstanding contributions to IKF Athletes Committee ad WADA Athletes Committee. 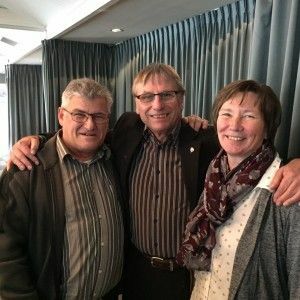 IKF President, Mr Jan Fransoo, presented her the distinction in front of the Belgian team, her partner, her parents and the complete IKF Council. The 10th IKF World Korfball Championship final on Sunday 8 November 2015 15:30 P.M. (CET + 1) will be another historic match between the home nation Belgium and the reigning champions The Netherlands. In the first semi final The Netherlands beat Chinese Taipei and in the second, Belgium beat England to establish the line up for the medal games. So Chinese Taipei and England will play for the bronze medal at 13:30 PM (CET +1). 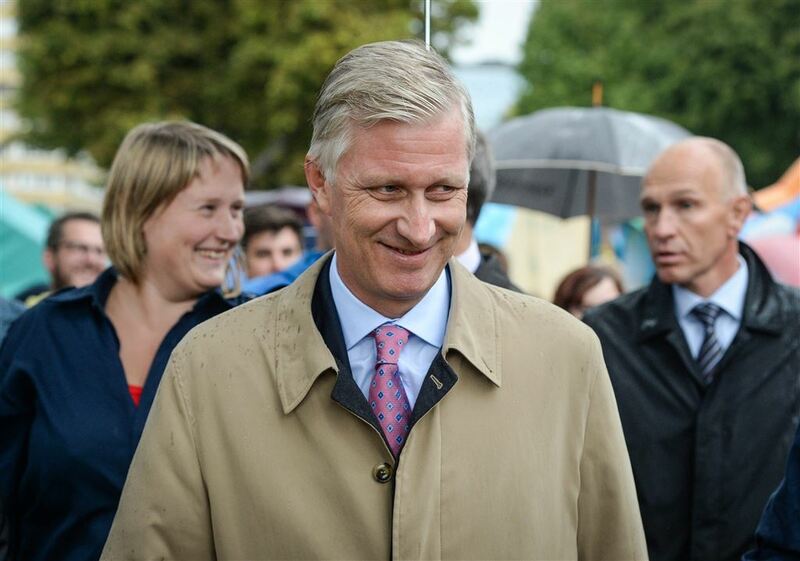 The Royal Palace of Belgium has announced that His Majesty King Filip of Belgium will attend the final of the 10th IKF World Korfball Championship in Antwerp on Sunday. 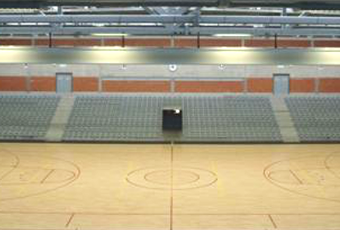 The final will be played in a sold-out Lotto Arena in front of about 5,000 korfball fans. Host country Belgium is one of the potential teams contesting in the final, as they have advanced to the semifinal in which they will play England on Friday. In the other semifinal, the Netherlands will play Chinese Taipei. It is the first time in the history of the IKF World Korfball Championship that a Head of State attends the final of a World Korfball Championship (although other Heads of State have been present at other korfball events). 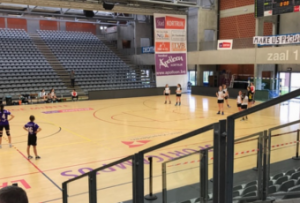 The IKF and the Royal Belgian Korfball Federation KBKB are both very happy and proud that the King has taken the time out of his busy calendar with many requests to select this World Championship to attend. Today the last quarter finalists were determined. Catalonia easily beat Hong Kong China, Russia needed to struggle a bit more against Australia, while the real fight was between Germany and the Czech Republic. In a match that was close throughout, neither the Germans nor the Czechs reached their desired level of play, with poor shooting and passing, and a low score 3/4 through in the match. In the last quarter, however, the Germans found themselves and made the first gap of three goals in their favor. Despite missing three penalties in the last ten minutes, they were able to secure their lead and advance to the championship’s top 8 for the first time since 2003. The quarter final round of the IKF World Korfball Championship will start on Tuesday 3 November. Monday 2 November is a restday in the IKF WKC. Relevant results from the first round are carried forward into the QF round. The final of the 10th IKF World Korfball Championship (IKF WKC) on Sunday 8 November 2015, starting time 1530 PM (CET +1) in the LOTTO Arena in Antwerp, Belgium is live on the open public TV network in the biggest korfball nation in the world; the Netherlands. Not only on public TV but on regional TV stations in the Netherlands as well. In Belgium the IKF WKC 2015 including the final is on public TV as well. Will the home team manage to achieve the necessary high level in front of the enthusiastic supporters. The pressure is on and the expectations are high. They hope to be able to become IKF World Korfball Champion as they became in 1991 in Antwerp! Many millions of people are able to see the the IKF WKC final on their TV at home. 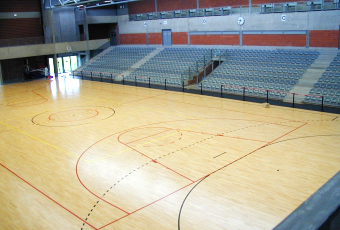 The Dutch team is the favorite for another title. Are they capable under the new coach Mr Wim Scholtmeijer to cope with the pressure of being favorite? The German TV station WDR will produce a program of around 30 minutes around the German team during the IKF WKC.